The Hieroglyphics, a veteran Hip-Hop collective and pioneering recording imprint, will deliver to the Bay Area another star-studded festival for its annual “Hiero Day” event. Now in its seventh year, this year’s lineup was announced and features Black Thought of The Roots, Freddie Gibbs, and more. Adding to the energy of the September event is the 25th anniversaries for Souls Of Mischief’s debut album, 93 ‘Til Infinity and Del The Funky Homosapien’s second studio album, No Need For Alarm. It also serves as a celebration to recognize the 20th anniversary of the Hiero crew album, 3rd Eye Vision, and Full Circle released 15 years ago. For this year’s event, the Hieroglyphics will rock unheard tracks for the all-day, all-ages festival and over 40 acts are on schedule across three stages. Joining the headliners are Black Thought, Freddi Gibbs. Talib Kweli, Mannie Fresh, Elzhi, Pharcyde, and many more. Hosting the event is rapper and freestyle wizard Mistah FAB, Chuy Gomez, Dnas, Chinaka Hodge, and Chris Riggins. The tickets are priced cleverly at $19.93, with upgrades on the tickets available for VIP and and Fast Pass options. 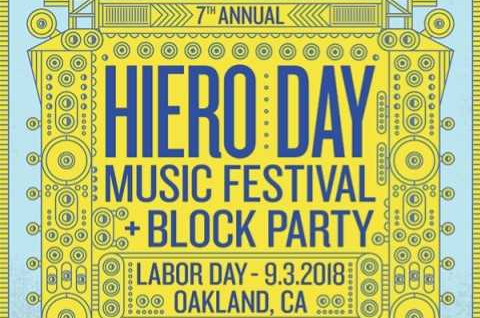 Learn more about the Hiero Day 2018 by following this link. The full lineup for the festival can be seen below.